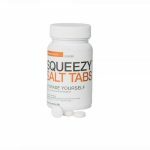 In addition to the effective energy supply of carbohydrates through our Energy Gel, the SQUEEZY SALT TABS with salt and minerals are the ideal supplement for ingestion during heavy physical exertion with high sweat loss. The coated dragees are very easy to swallow thanks to their small size and pleasant surface. Taste-neutral and vegetarian dragee coating. Sodium chloride, filler: calcium phosphate, potassium chloride, pressing aids: cellulose, coating: (hydroxypropylmethylcellulose, dye: titanium dioxide), release agent: travel extract. 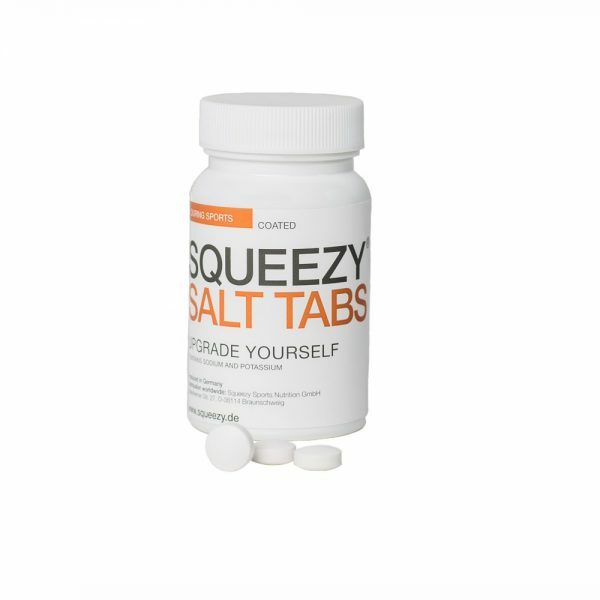 We recommend taking 1 – 2 dragees per hour during exercise with sufficient fluid. A maximum of 10 coated tablets per day. The recommended daily dose should not be exceeded. Dietary supplements are no substitute for a varied, balanced diet and a healthy lifestyle. The product should be stored out of the reach of small children.